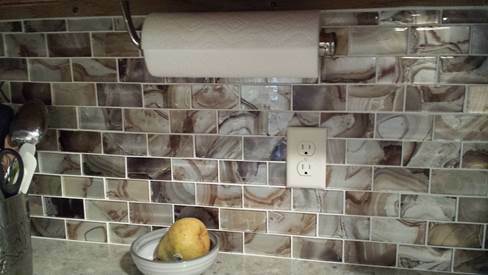 We are skilled in tile work and can create a tile backsplash that will add a splash of pizzazz your kitchen . We have a full team of skill trades that help us with electrical, plumbing, HVAC, drywall, painting, tile, flooring and design. 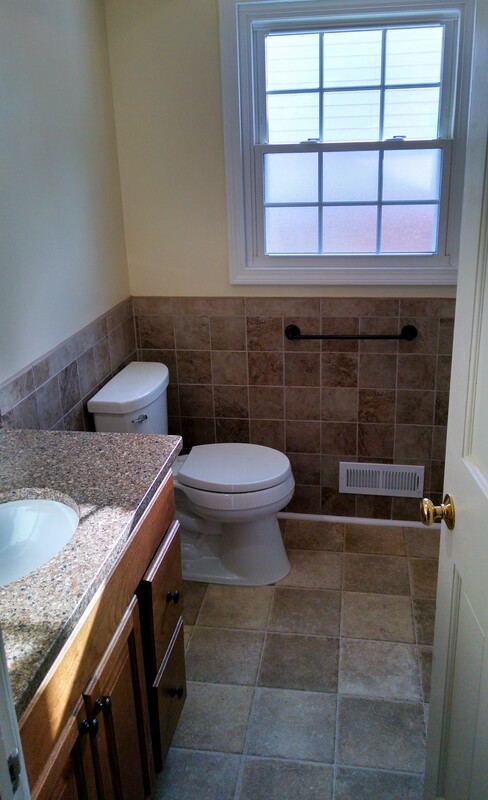 Bathroom Remodeling can add to your home’s value. 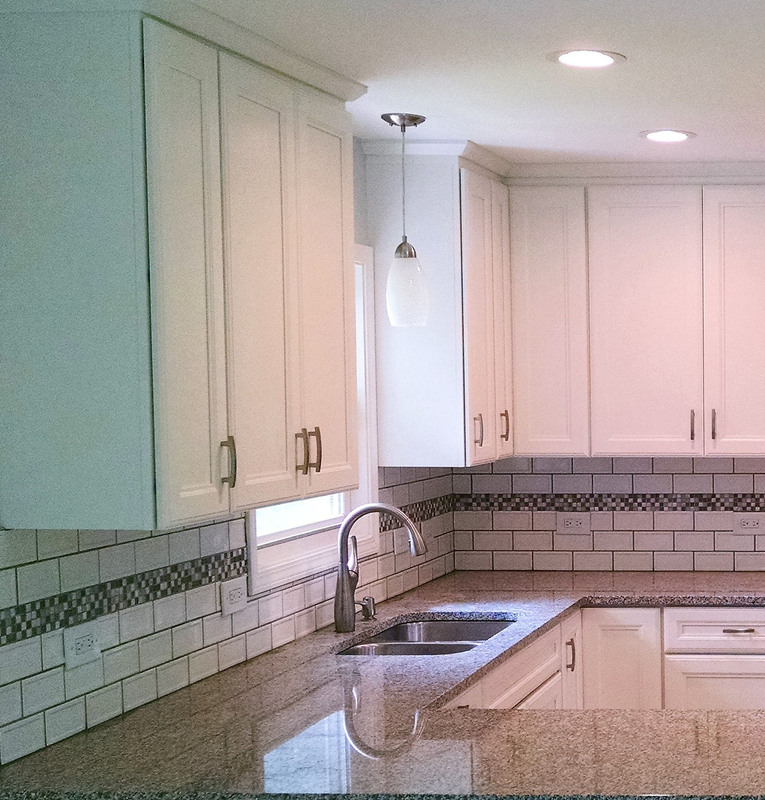 We can simply refresh your existing fixtures and vanity or do a completed redesign or expansion of your space. 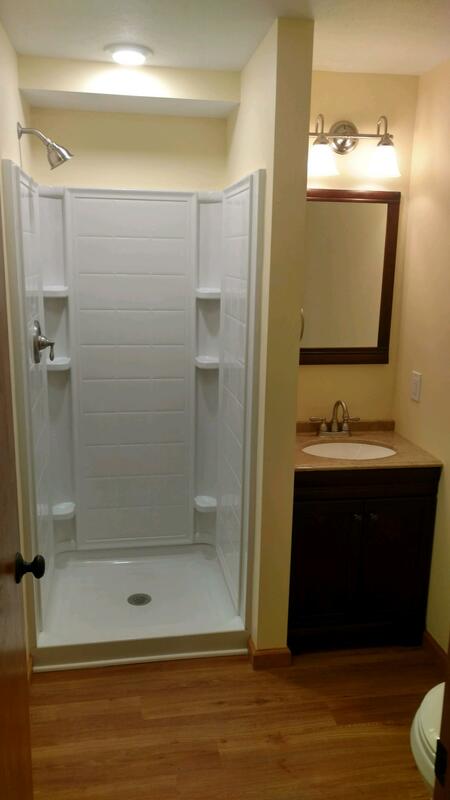 We are skilled in tile work and can create the tile shower of your dreams. 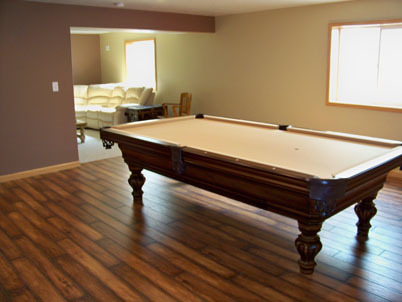 Basement finishing requires vision, experience, and attention to detail and that’s what you’ll get with “Team Holp”. 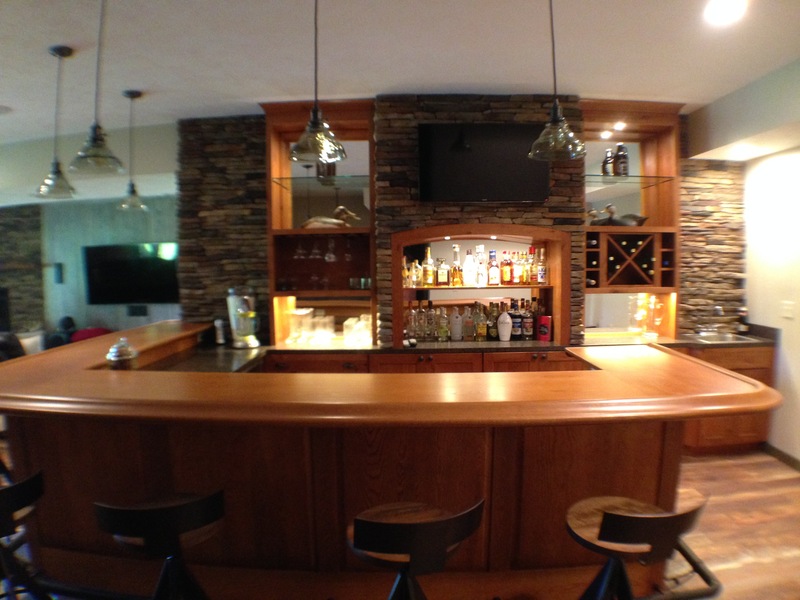 At Holp Construction & Design we understand how layout is vital to maximizing your space. 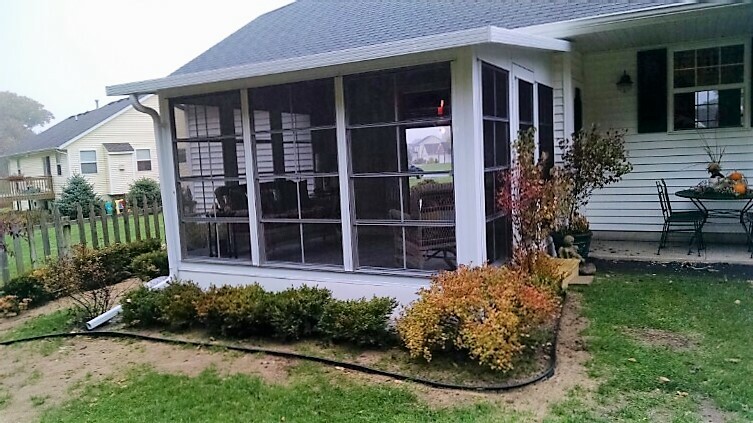 From egress window installs to relocating plumbing we can do it all ! 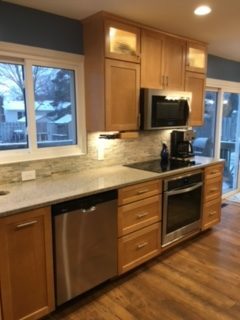 "We give Hope back to Your Home"
Kitchen Remodeling is the majority of Holp Construction & Design’s projects for the year. 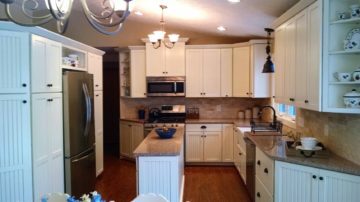 We have the experience, knowledge, skill and attention to detail you need when remodeling your kitchen. Knowledge, skill and personal attention to every detail are critical elements of our service. We use subcontractors that show as much pride in their work as we do our own. 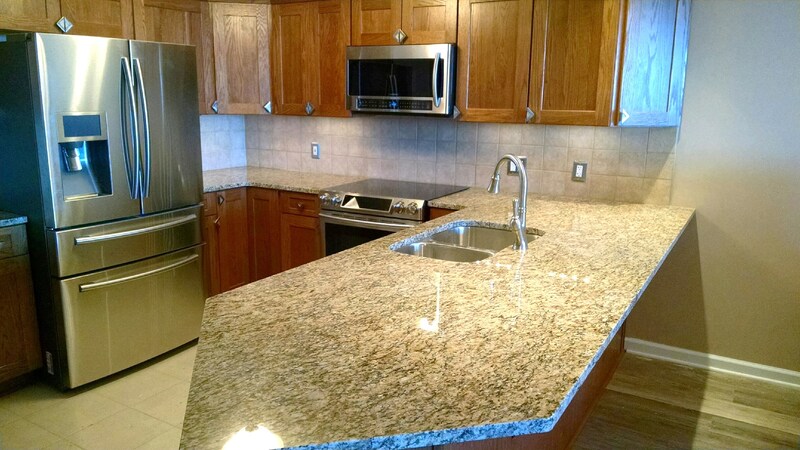 We offer a full team of subcontractors which includes plumbing, electrical, drywall, flooring, tile installation and more. 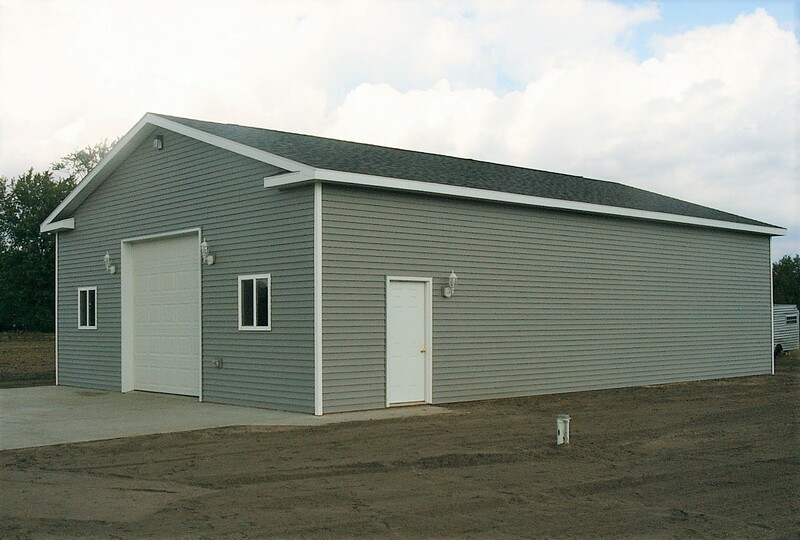 We make sure we have all components to your project on site, scheduled, delivered and ready to go. We use quality and experienced subcontractors who have worked well with us on past projects. This reduces delays, so your project has our teams undivided attention. We understand how important your Home is to you! We take time to broom sweep and tidy up your project space nightly. 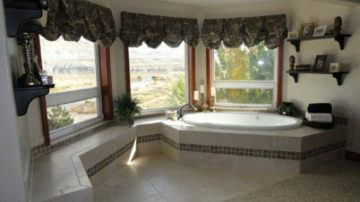 When it comes to home remodeling, we are the caring professionals you need. 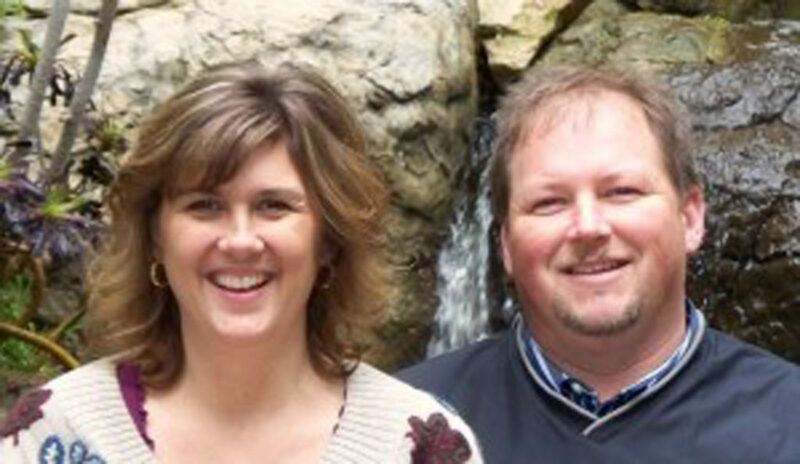 We are “Team Holp” a husband and wife team who have a passion to refresh, revive and redesign homes. 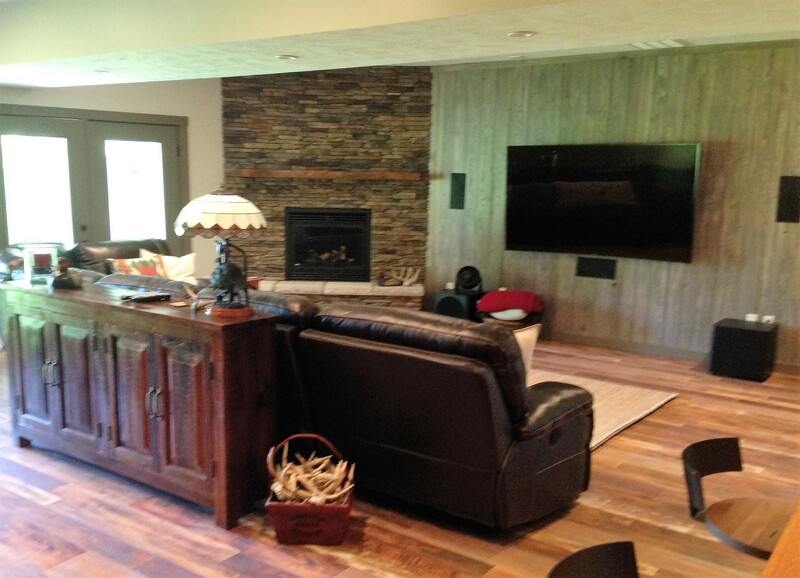 We love taking our skills and your vision to create the living space you’ve dreamed about. We have a passion to refresh, revive and redesign homes. We believe your home should fit your life style and reflect your personal taste. Over the last 20 years we have enjoyed meeting new people, making new friends and Giving Hope back to Your Home. We remodel with the same care as if where our own home, making sure we use quality materials, and comply with building codes. 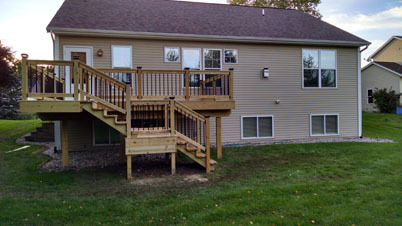 We understand it’s where you live, and do our best to complete projects in the timeline provided. 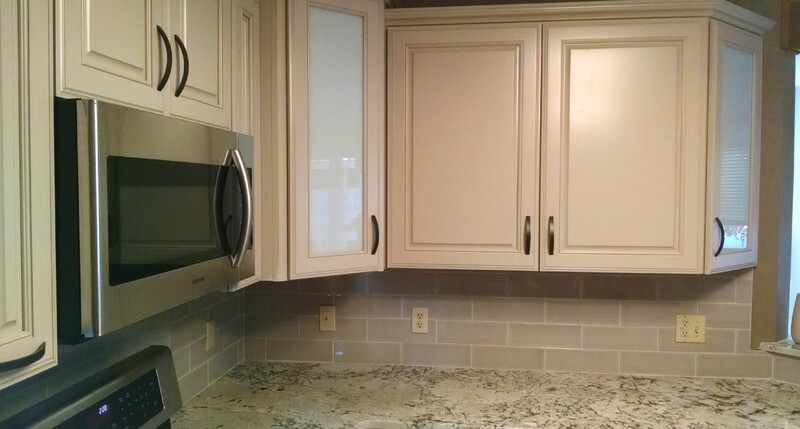 We have successfully remodeled hundreds of homes over the past 20 years, It’s our passion! Terry and April were very professional. They promptly got back with us after our initial call. 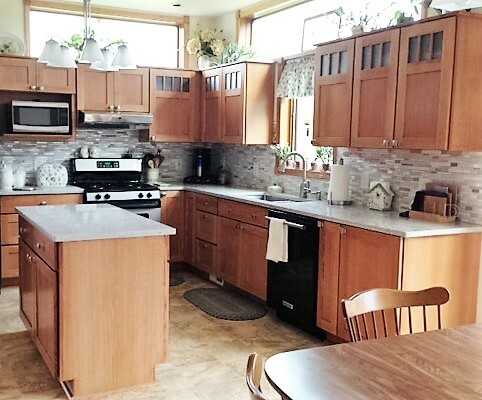 They asked us what our budget was; other contractors told us they couldn't do our kitchen within our budget. April kept us informed throughout the remodel. Terry and Kyle came in the mornings and worked the whole time they were here. We are very pleased with our new kitchen and bath. There just aren't enough words to express how thankful we are for the work you have done in our home. What was once a dream is now a reality! Your talents and attention to detail were a welcome "calm" in the midst of so much change going on. Thank you doesn't begin to describe our appreciation! We will be calling you again in the future, as well as confidently referring you to others. You two Rock! Thanks for the excellent workmanship in building our new screen room. We are excited and looking forward to using it. We will recommend you to all. Thank you!!! I've had SO many compliments on my awesome new deck. Thanks so much Terry and family. We had fun moving everything into our basement and watching a movie. Thanks for everything, we love it! Let us know when you want to come take pictures. The construction team of Terry, April and Kyle Holp were outstanding. Dedicated to detail, patiently answered any and all questions, kept inconvenience to a minimum. Left my home each night almost spotless and were on time and focused. 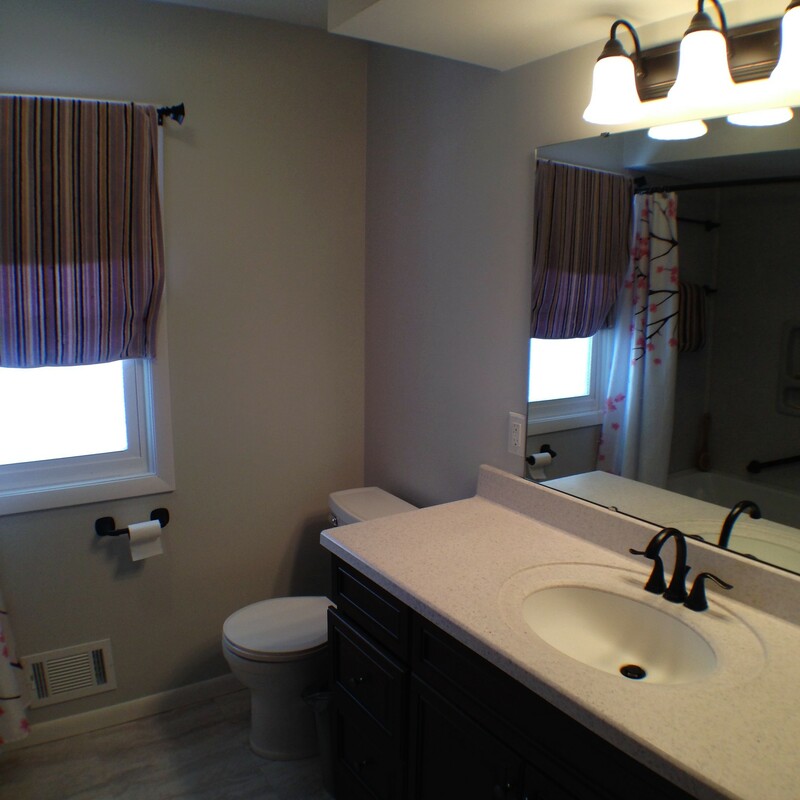 Recently completed a bathroom remodel with Holp Construction. Appreciated the positive energy, reliability, punctuality and helpfulness of the installation team. Never saw problems only solutions! The custom frame was built for an 8' x5' piece of stained glass to be displayed in our church sanctuary. The piece turned out beautiful. It has back lighting and really is a show piece in our church. The second project they provided was a custom bookcase. This also turned out fabulous. 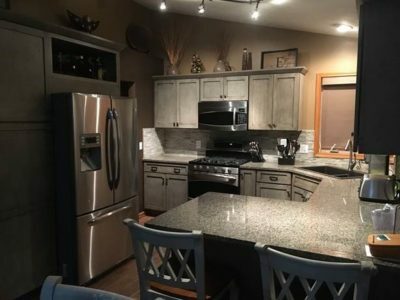 This project was a bit tricky in construction and Terry and April listened to our needs and created a design which was exactly what we were looking for. Holp Construction & Design has been a great company to work with. 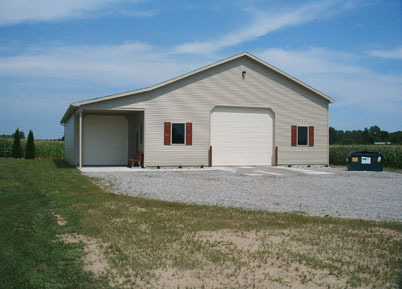 They are friendly and professional and they get the job done in a timely manner. I would recommend them to anyone. What can I say, you guys are absolutely awesome! 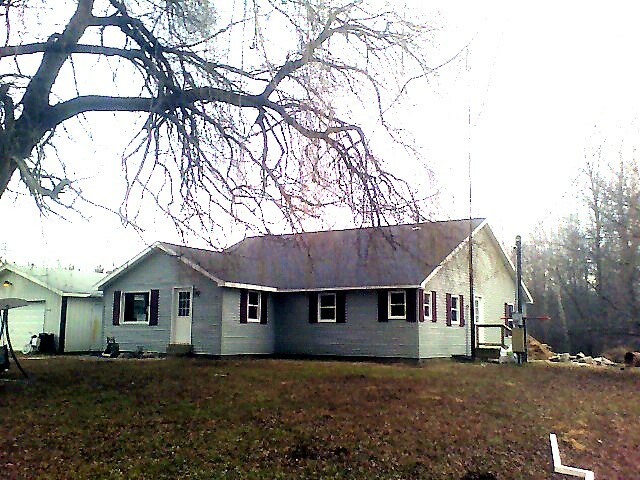 April is extremely organized, and on site Terry & Kyle were excellent to work with. Cleaned up everyday including the garage. I can't say enough, except to keep doing what you are doing, pleasure to work with you guys!